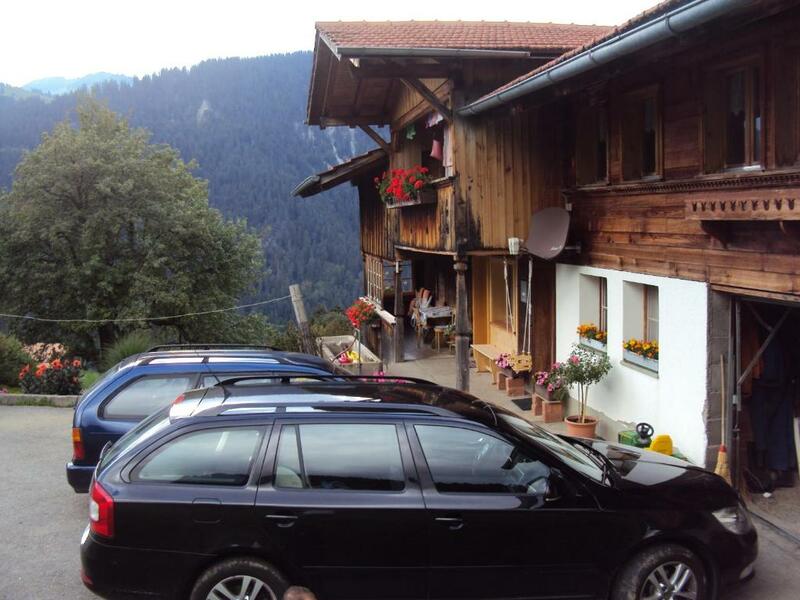 Lock in a great price for Chalet Brügg – rated 9.9 by recent guests! 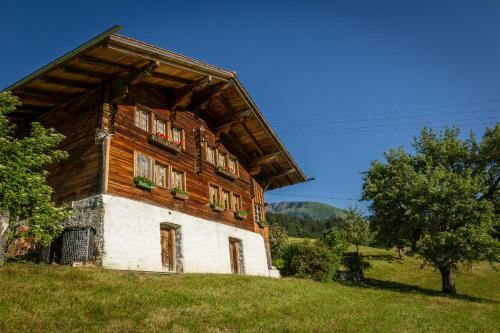 Overlooking the Bernese Alps and the Diemtigtal Valley, Chalet Brügg enjoys a peaceful location, a 15-minute drive from the Wiriehorn Ski Region. It has a terrace with barbecue facilities and offers apartments with a balcony. The simply furnished apartments with traditional wooden interior feature 2 interconnected bedrooms and a living room with satellite TV. There is a fully equipped kitchen with a dining area and a private bathroom with a bath tub. The facilities also include a washing machine. 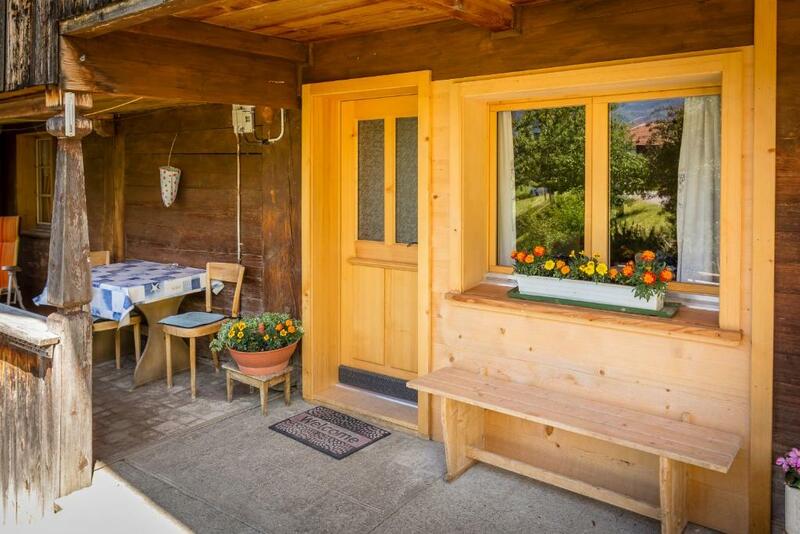 You can find a restaurant serving regional dishes 1.2 mi from Brügg Chalet. Shops can be found in the next village of Oey-Diemtigen 3.1 mi away. The Springenboden and Wiriehorn Ski Stations are both located 6.2 mi from the chalet, while the Grimmialp Ski Elevator is 12 mi away. This property also has one of the top-rated locations in Horboden! Guests are happier about it compared to other properties in the area. This property is also rated for the best value in Horboden! Guests are getting more for their money when compared to other properties in this city. 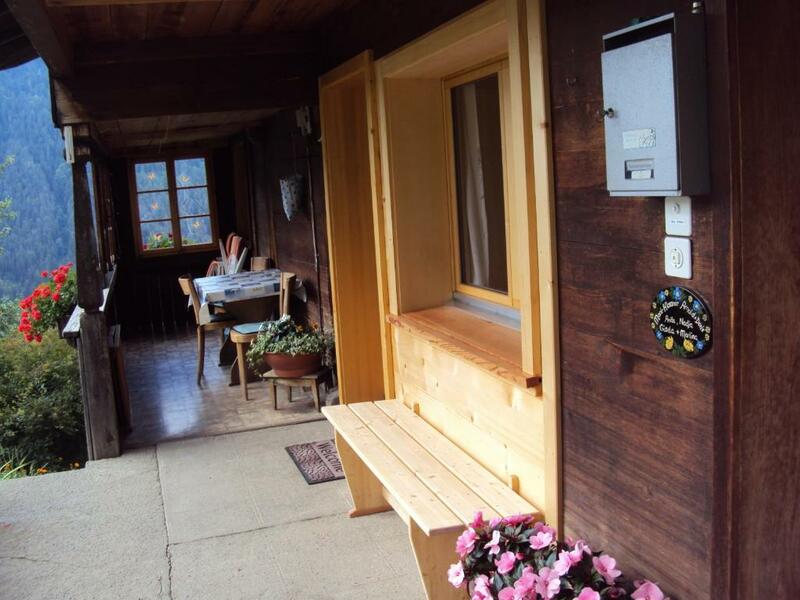 When would you like to stay at Chalet Brügg? The simply furnished apartments with traditional wooden interior feature 2 interconnected bedrooms, a living room with satellite TV. There is a fully equipped kitchen with a dining area and a private bathroom with a bath tub. The facilities include a washing machine. Wir wohnen inmitten eines schönen Wander- und Skigebietes (Naturpark Diemtigtal) zwischen Thun und Gstaad gelegen.200Km markierte Fusswege. Unsere Juvels der Talwanderweg, der Schwingerweg, Vogelweg und der Hausweg.Beim Spiel und Erlebnissweg Grimmimutz werden auch Kinder zu Wanderfans.An einem heissen Sommertag lädt der Wasserspieplatz jung und alt zum verweilen ein. 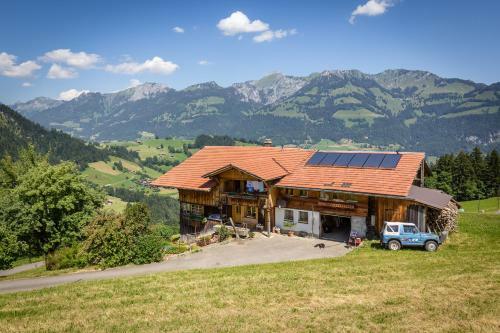 Unser Tal ist das grösste Alpwirtschaftsgebiet der Schweiz, über 9000 Kühe vom Mittelland verbringen den Sommer auf unseren Alpen. In der grössten Biokäserei der Schweiz können Sie die Produkte kaufen von der Milch unserer Alpen. Ein Adrenalinkik ist die Downhillstrecke am Wiriehorn oder wer es gemütlicher möchte fährt mit dem Trotinett. zu Tal.Bauernhäuser wie aus dem Märchenbuch kann mann auf dem Hausweg bestaunen und man sieht die schönen Archidektonischen Bauten und feststellen warum dem Tal der Wakerpreis für gut erhaltene Dorfbilder verliehen wurde.Unsere Berge und Felsen begeistern nicht nur Kletterer. Der Seeberg und Aegelsee laden so richtig zum entspannen ein. Der Abschied vom Tal fällt schwer, das bestätigen unsere treuen Stammkunden. House Rules Chalet Brügg takes special requests – add in the next step! One child from 3 to 16 years is charged 50 % of the room stay per night and person in an extra bed. 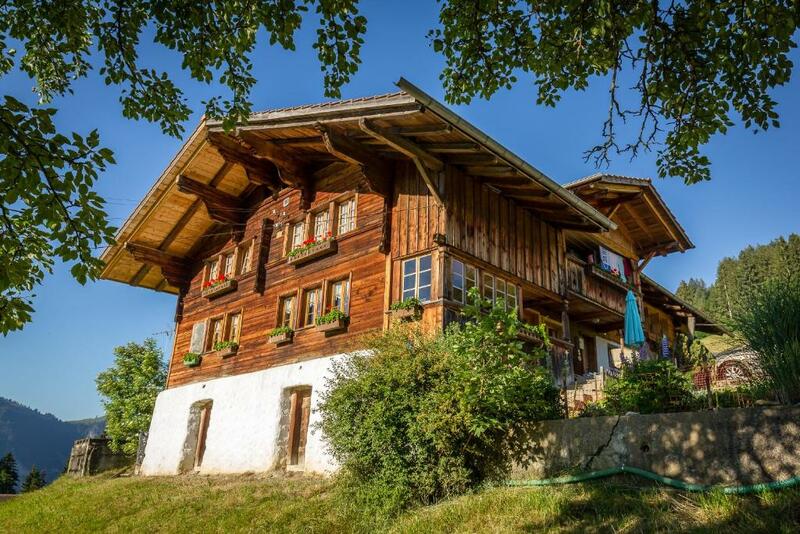 This is a beautiful chalet. Has all the things needed to keep your stay comfortable just like home. Shower is lovely and hot with good water pressure. Plenty of towels to use and washing machine if needed. Kitchen has a gas cooker with plenty of utensils to use from frying pans to pots cups cutlery etc. Lovely little kitchen table with ample seating. Two enormous bedrooms with double beds in each. The one room has a sofa seating area and tv. The chalet was so warm even when we had temperatures of -18. The whole place was lovely and clean with great presentation. A travel cot with mattress provided free of use too. Overall was a beautiful place great scenery over the valley. The village had some lovely shops and two small shops for food. The hostess was very welcoming showing us around and allowed us to use her sledge when we got snowed in to play in the snow. Will definitely Be back in the future and will check out the local ski places not far away. Fairly easy to get to from Geneva and great to get the places as rather central and good road networks. However if the weather is bad make sure you have a good car 4 x4 or snow chains as the roads to the chalet are single track in most places and can be very steep. However the locals did a fab job to clear as much away.